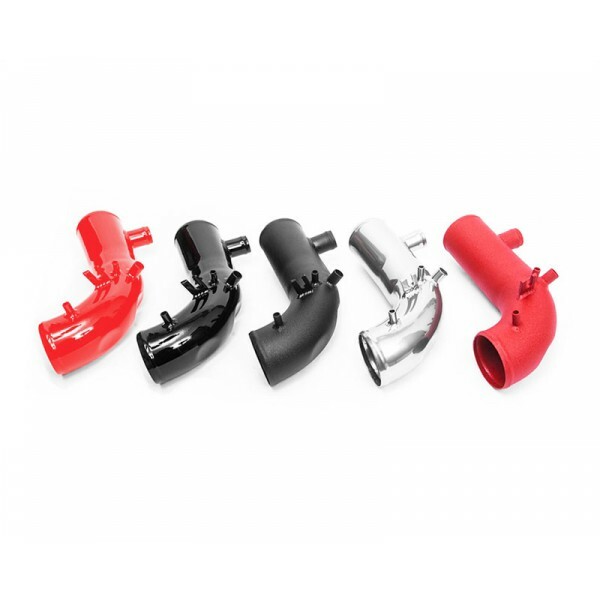 There are 2 reasons to change your factory turbo inlet pipe on the Subaru WRX and STI cars. First reason is the factory inlet pipe is very restrictive. Its thin diameter and corrugated design reduces air flow and robs your car of horsepower. 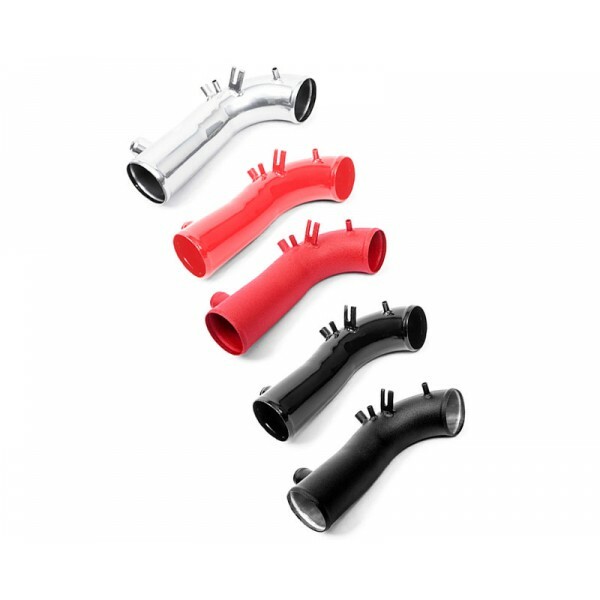 The second reason is the factory inlet pipe is a very cheap plastic material. When you upgrade to a new turbo, this pipe tends to crack or not fit on the new turbo during installation. Agency Power has brought you the best solution of a new turbo inlet pipe for your Subaru WRX or STI vehicle. This all aluminum intake pipe is a full 3 inch in diameter. Its precision welding and features allow you to easily install this hard pipe under your manifold with minimal work, however professional installation is recommended. (Note: removing the manifold may be necessary for easier installation.) 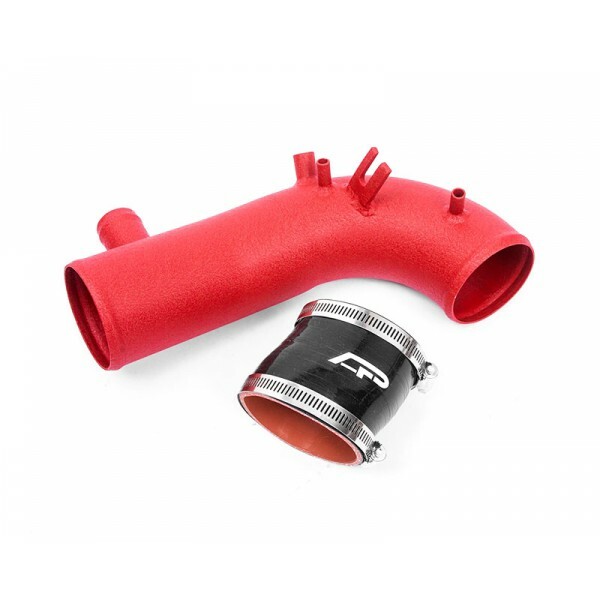 Unlike the competitions silicone intake tubes, there is no flexing or collapse under pressure. Also, this intake pipe was designed to use your factory hoses. No additional hardware is needed. Agency Power offers 2 options of coupler sizes. One is for the stock 2.5 inch turbo compressor inlets and one for upgraded 3 inch turbo compressor inlets. (Please select below.) Each inlet tube kit includes hose clamps as well. 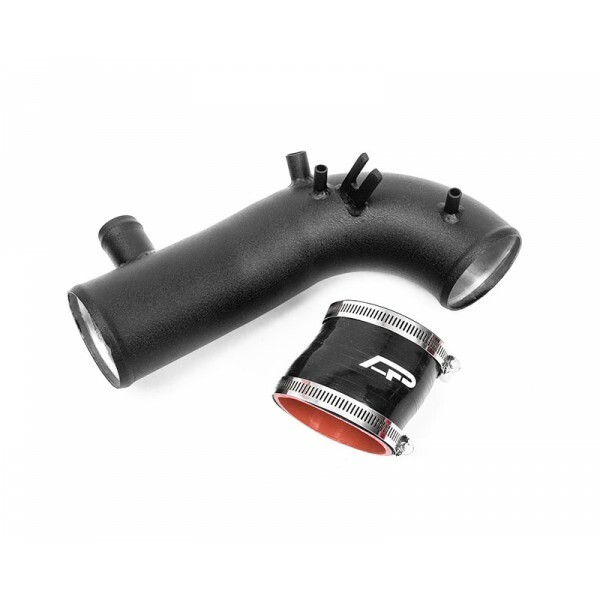 This inlet pipe will fit to most short ram and cold air intake kits. It also fits the factory intake pipe. 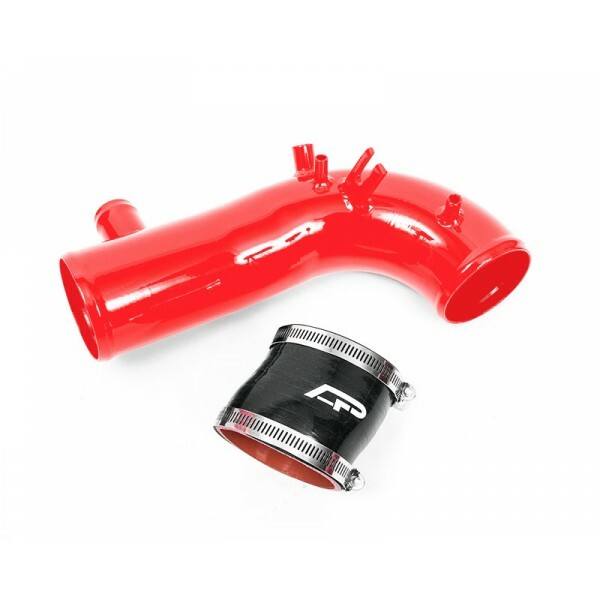 Turbo inlet pipes are available in wrinkle red or fully polished. Each intake pipe includes a black silicone coupler. 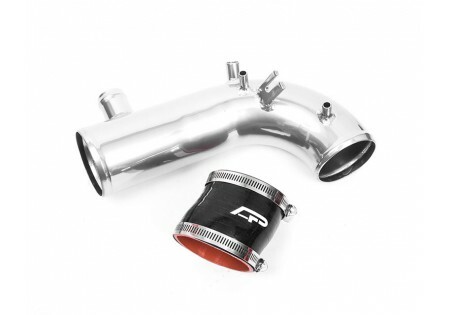 Inlet pipe fits all WRX or STI cars from 2002 thru 2007 and the 2008 STI. To utilize this part on an 04+ Subaru, you much bypass the stock PCV connector.